OHNEP is at the vanguard of helping nurse practitioners, nurse-midwives, nurses, and other health professionals incorporate oral health into patient care. Why? Oral health and general health are interconnected. Research evidence links poor oral health like periodontal disease with diabetes, cancer, heart and lung diseases, and progression of dementia and Alzheimer’s, among others. Yet, few health professionals integrate oral health in their clinical practice. 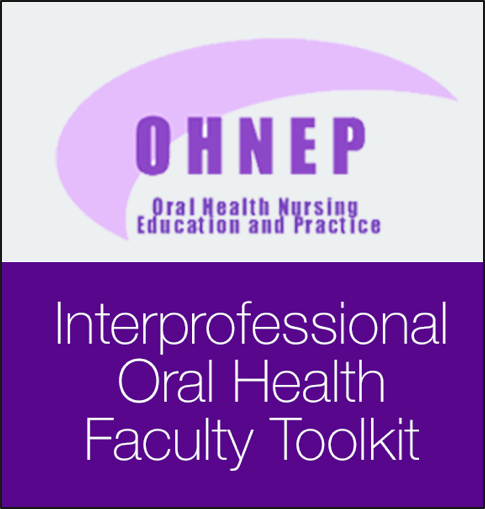 As a national voice promoting interprofessional oral health integration, OHNEP advocates, educates, creates and promotes resources that educators and clinicians can use to improve the quality of oral health care in their patients. The OHNEP website serves as a knowledge center and portal for best practices.